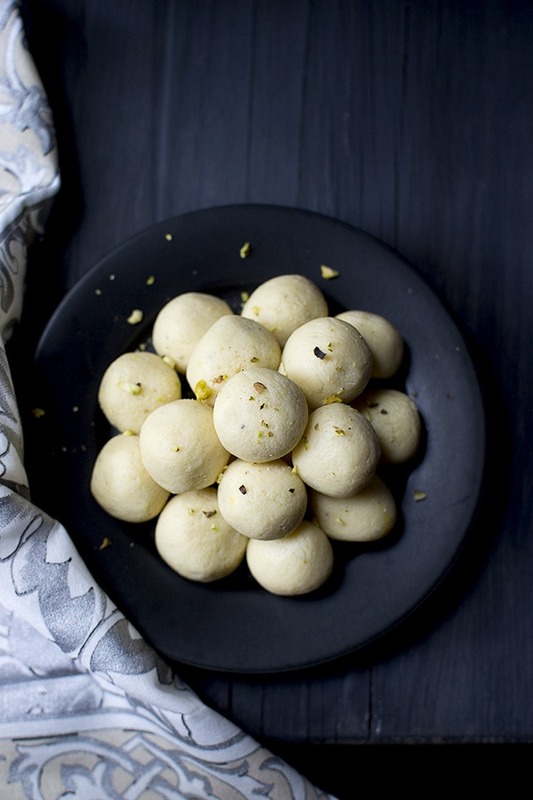 These Coconut Malai Laddoo just melt in the mouth and are perfect to make during festivals. They are made with ricotta cheese instead of khoya. In a small bowl, combine milk and saffron. Swirl and set aside. In a heavy bottomed nonstick pan, cook ricotta cheese until soft and melted. Stir in the condensed milk, dry grated coconut and heavy cream. Mix well and cook on medium flame, stirring constantly. Add the saffron milk and ground cardamom. Mix well. Cook until the mixture starts to leave the sides of the pan, about 20~25 minutes. Remove the mixture onto a plate and let cool. Once cool enough to handle, form laddoos. Store them in the fridge for up to a week.